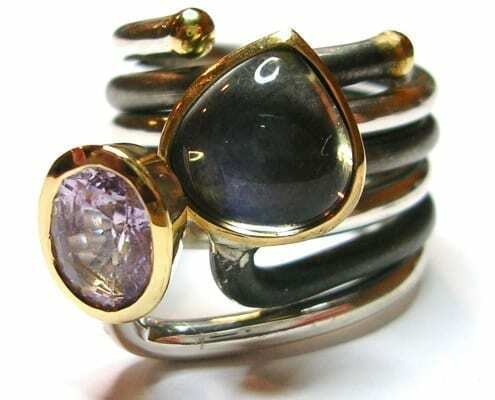 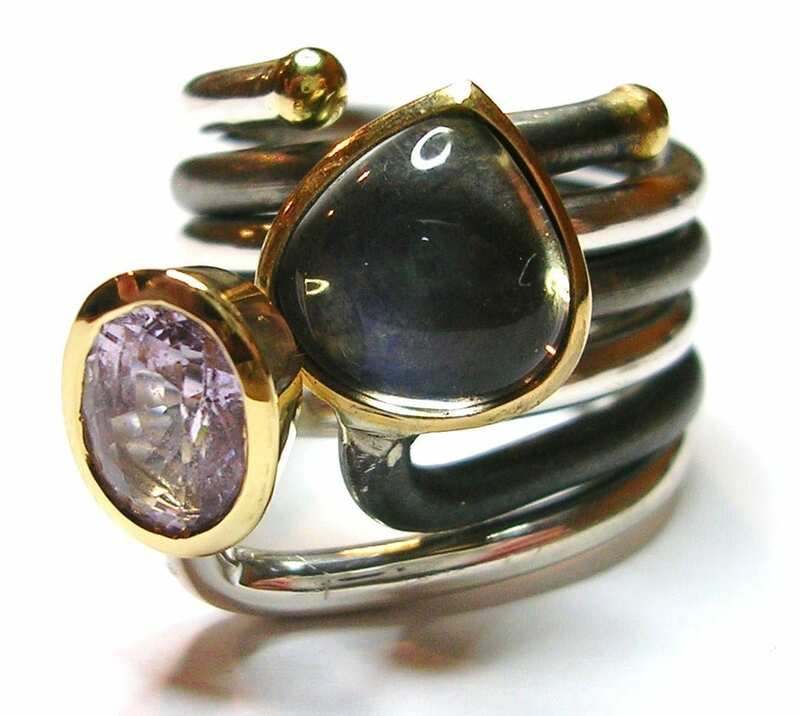 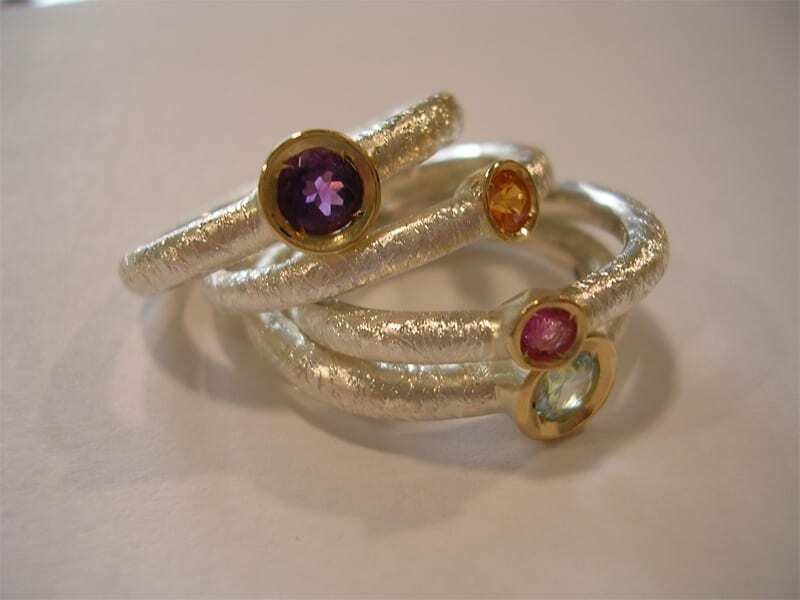 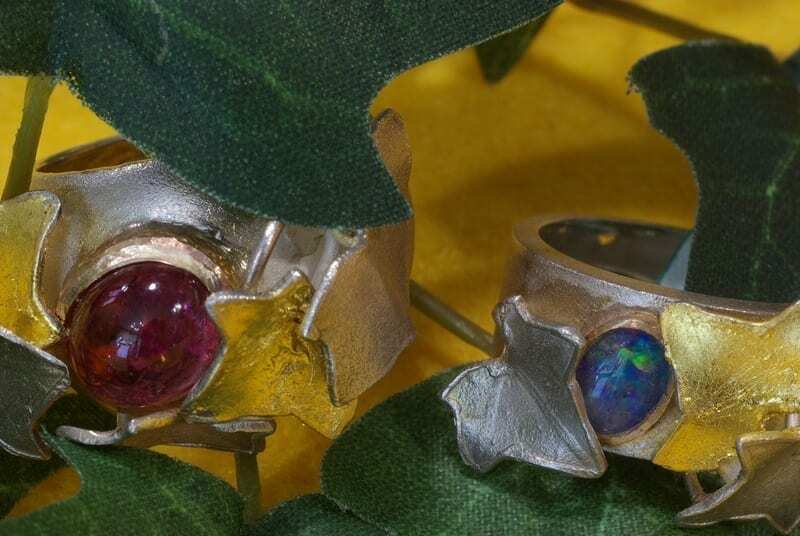 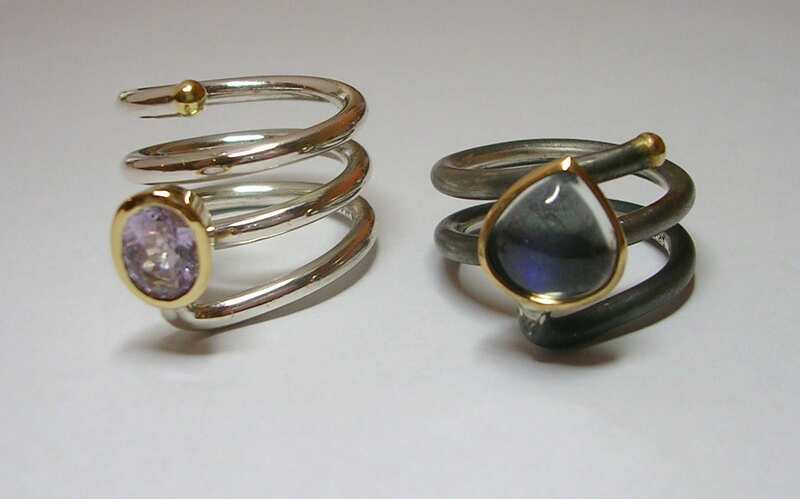 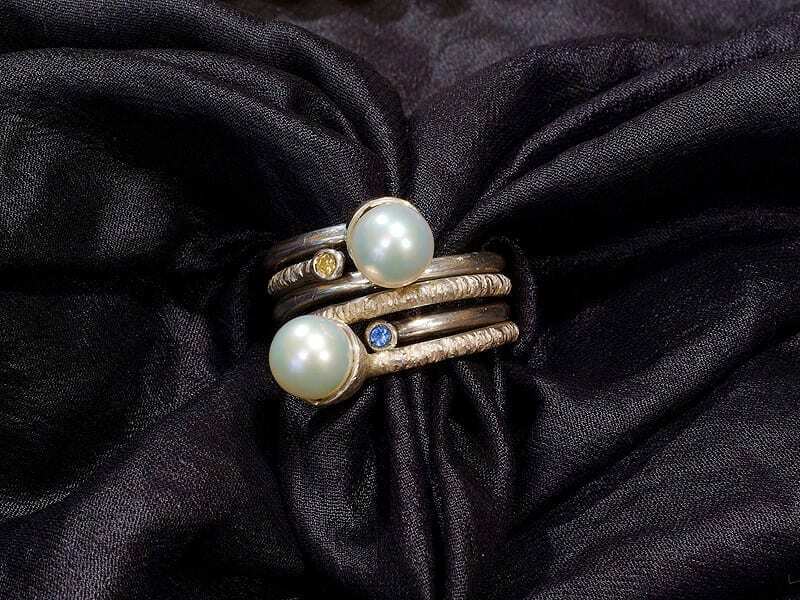 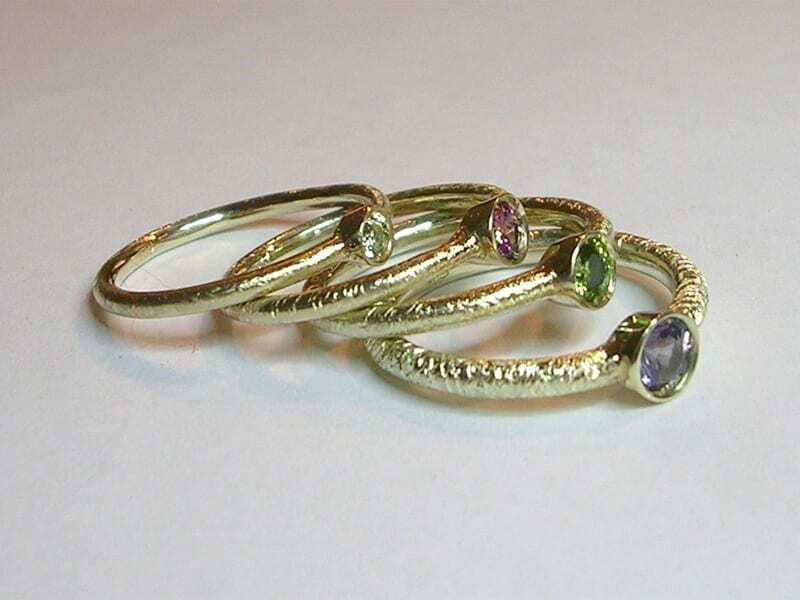 Little rings made of sterling silver with a setting in gold 750/000 and different precious and semi-precious stones. 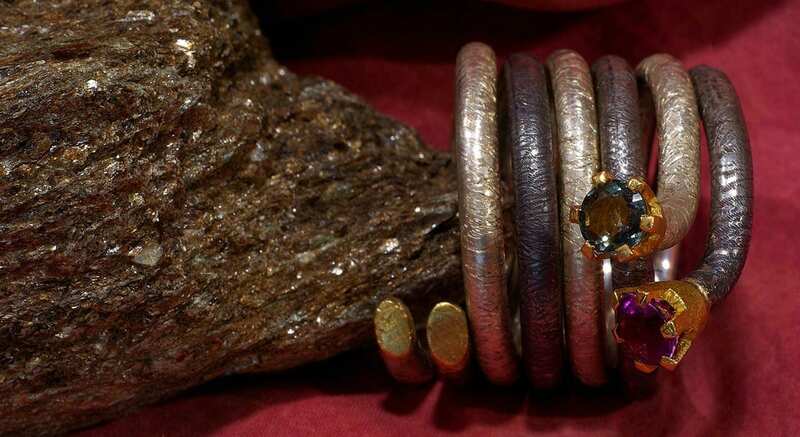 Characteristic of the “Allegri”line is the contrast of the satined silver part and the polished golden part. 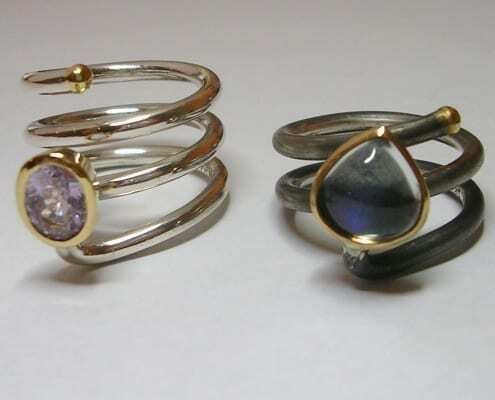 They can be worn singularly or two or three together. 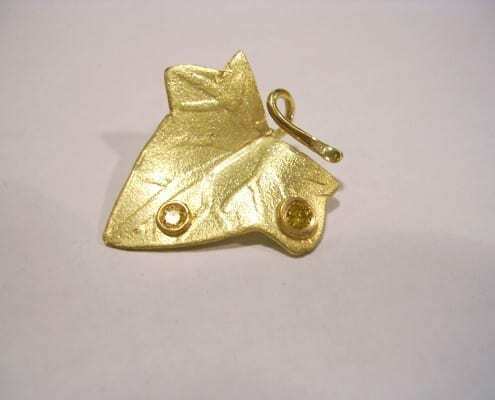 is a variation of the “Allegri” in 9 ct gold. 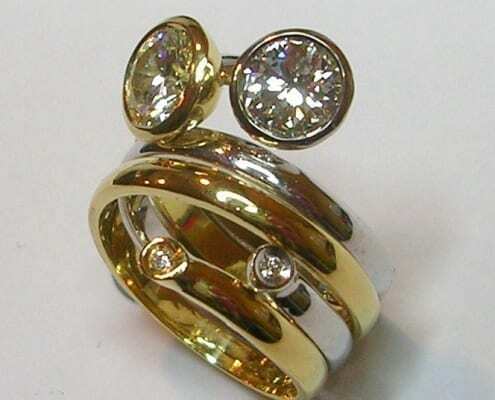 This 375/000 alloy is a pale yellow colour underlined by the contrast of the satined and polished parts. 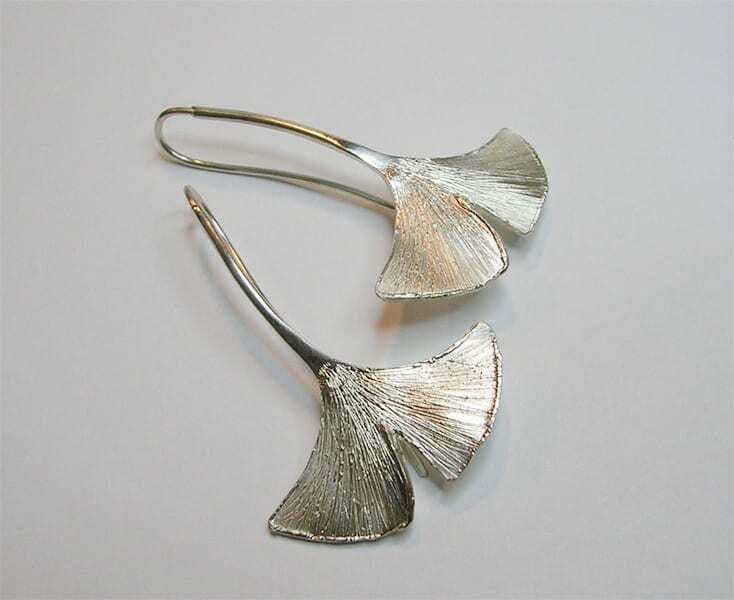 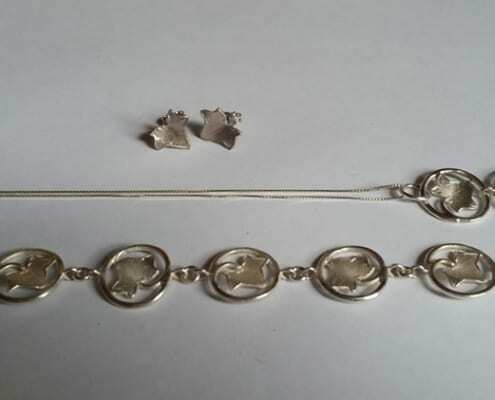 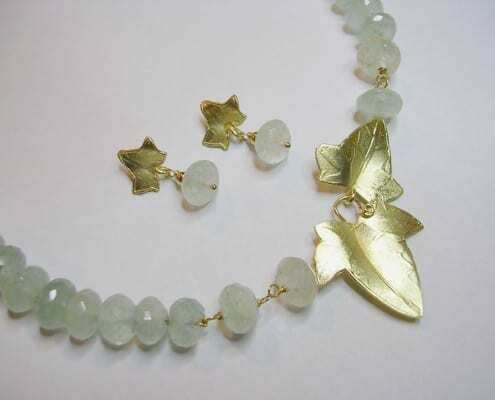 Pendants, earrings and clasps shaped like the Ginkgo Biloba leaf in Sterling silver or 18 ct. gold. 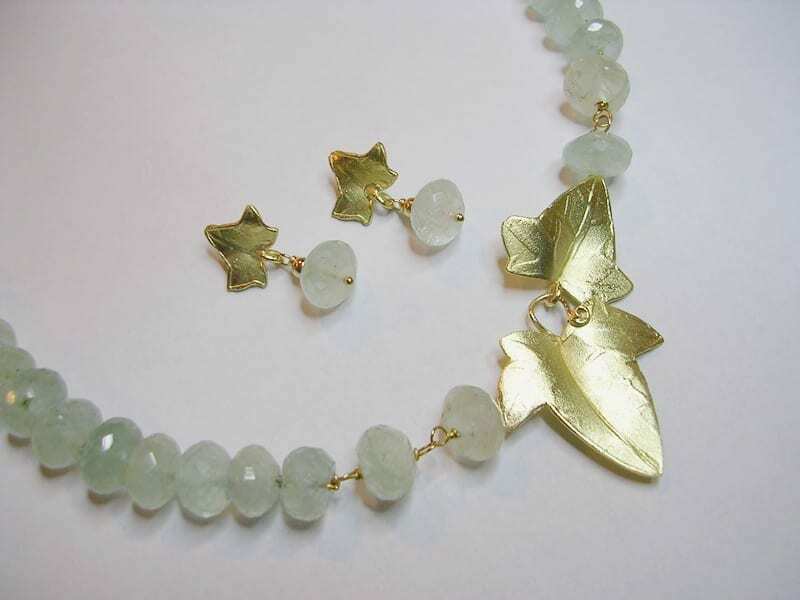 The Ginko Biloba tree with its characteristic leaves inspired Goethe to write his famous poem. 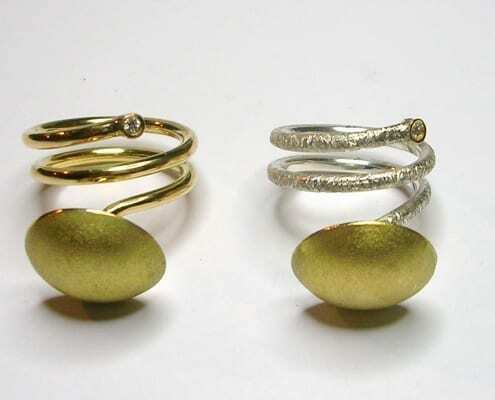 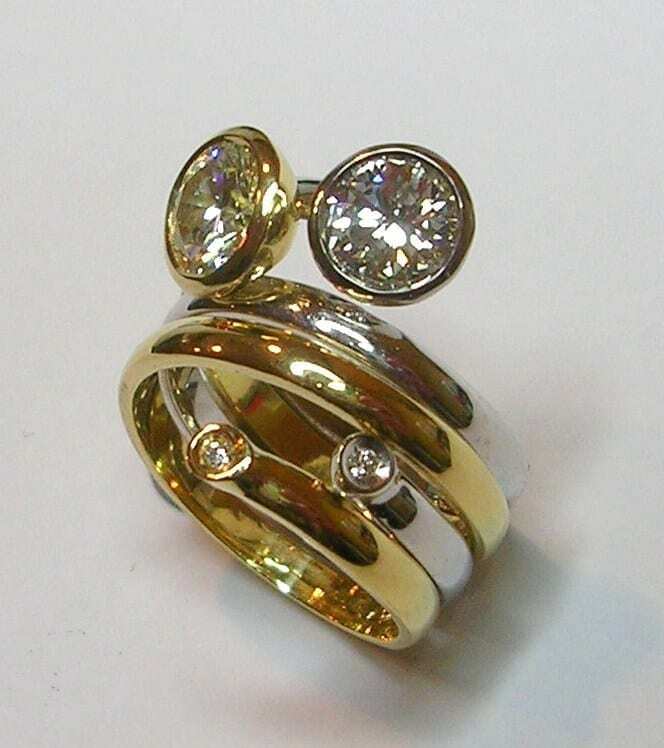 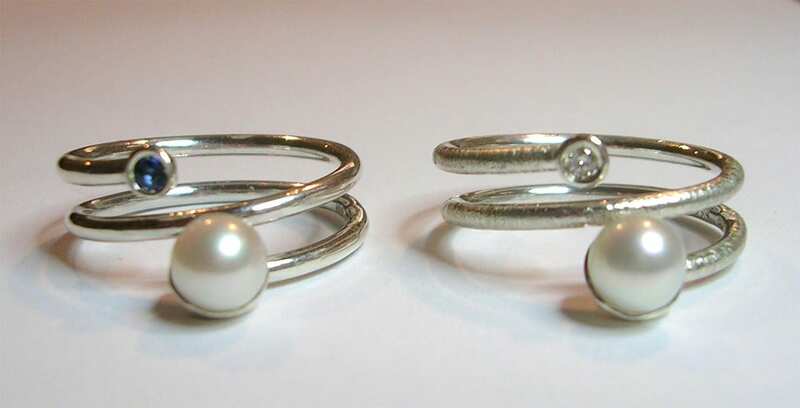 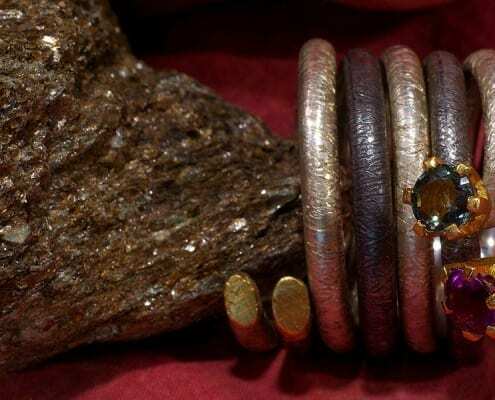 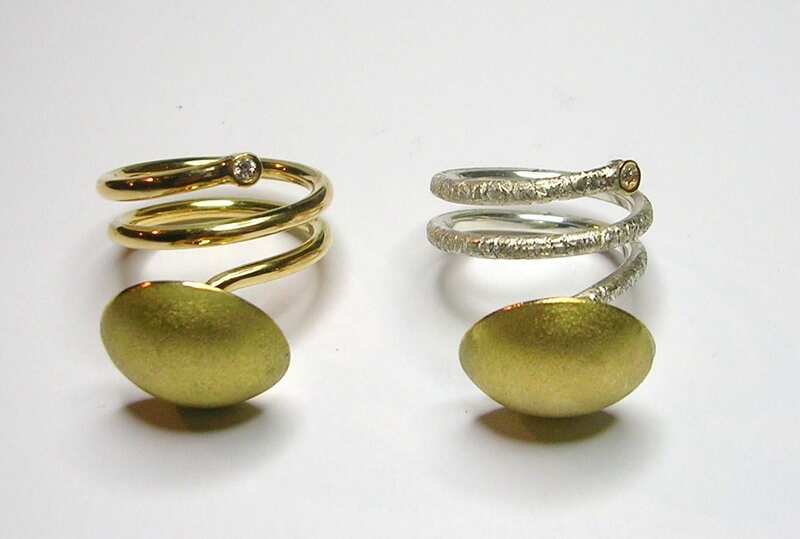 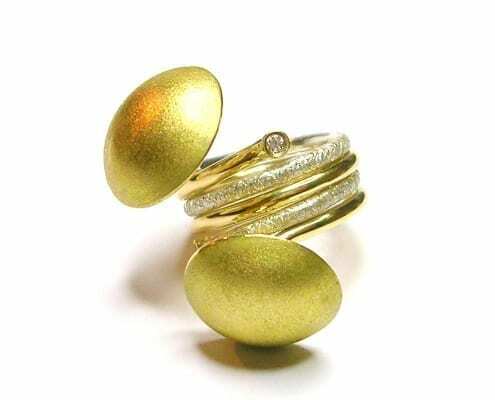 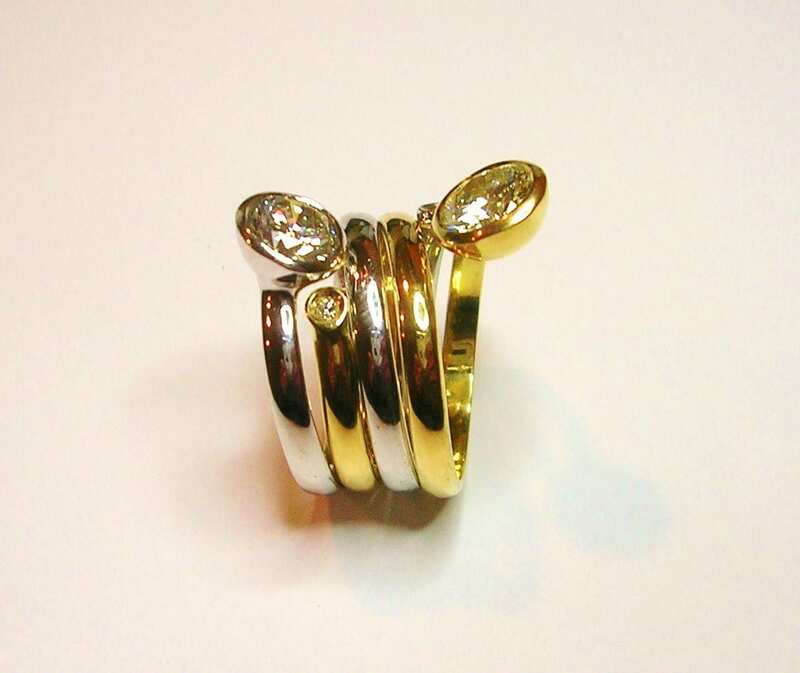 Two rings which can be worn seperately or entwined in different directions. 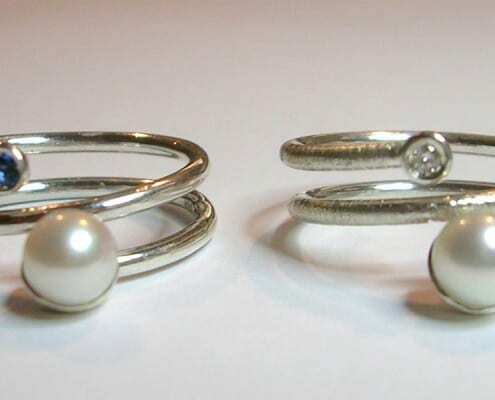 It’s possible to wear the two main stones or pearls opposite each other or close together or even completely apart. 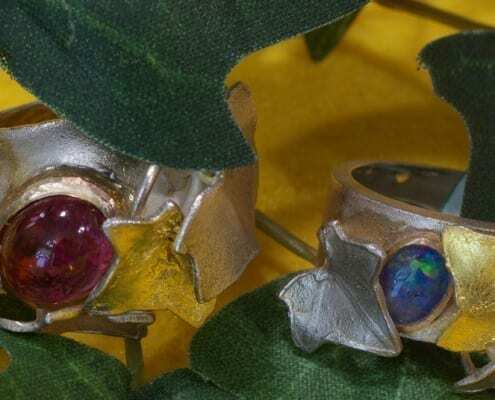 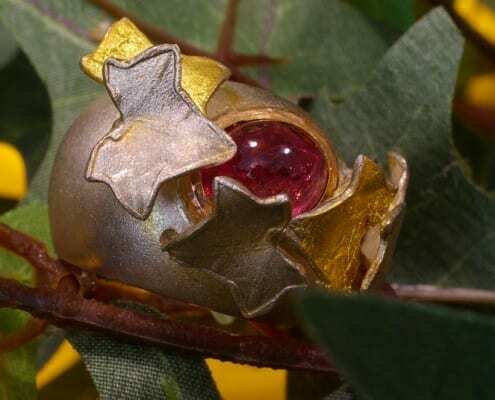 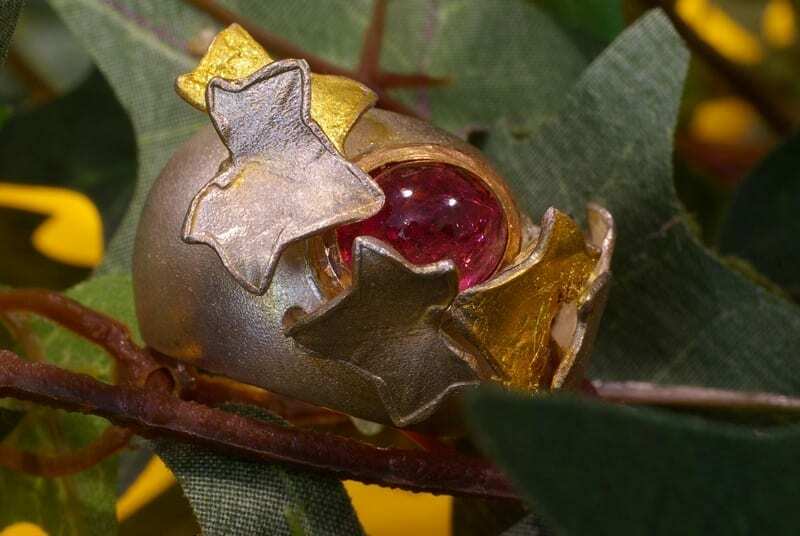 Earrings, pendants, necklaces, rings with one or more ivy leaves in Sterling Silver or 18 ct Gold.